Pioneers in the industry, we offer emerald drops beads, green emerald pear faceted and emerald cut stone from India. 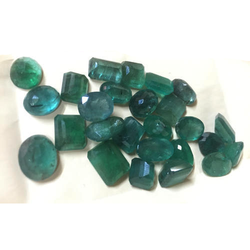 We are amongst the reputed organizations, highly engaged in offering an optimum quality range of Emerald Drops Beads. Availing knowledge of our creative professionals, we are engaged in offering a wide array of Green Emerald Pear Faceted. With a vast knowledge of our creative professionals, we are engaged in offering a wide array of Emerald Cut Stone.